I’ve just read an article describing negotiations between Parabole Réunion and Canal Sat Réunion on an eventual merging following the union of TPS and Canal Sat in France. According to the article (which dates from July 2008), the merging discussions are going on and things will become clearer in September i.e. this month. 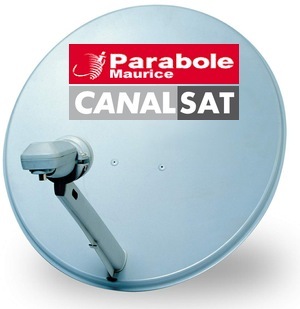 This means that Parabole Réunion and Canal Sat Réunion might announce in a few weeks that they’ll have a combined satellite offer. I’ve done a bit of research and I’ve found out that, in Réunion, Outremer-Télécom has started offering via ADSL a number of channels which are normally available through TNT in France. I’ve also read that one member of the CSA has said that TNT will be available throughout Réunion by 2010 at latest. I’m talking of the French TNT here with such channels as TF1, France2, France3, Canal+, Canal+ Cinema, Canal+ Sport, M6, TF6, W9, i Télé, Virgin 17, TPS Star and Eurosport. No wonder Parabole Réunion and Canal Sat Réunion are eager to merge with the sudden arrival of such formidable competitors. Unfortunately, this does not mean that the same thing will happen in Mauritius between Parabole Maurice and Canal Sat Maurice. Here, we won’t have the French TNT channels (we do have TNT but nothing comparable with what is available in France.) So there is less pressure on Parabole Maurice and Canal Sat Maurice to merge. Furthermore, if you look at the channels available in Parabole Maurice and Canal Sat Maurice, you’ll notice a lot of duplication. For instance, TF1, M6, TF6, RTL9, Antenne Réunion, Tempo, Kanal Austral, LCI and Eurosport (9 channels!) are available on both. Combining both satellite offers means that there will be no need to broadcast those 9 channels twice thereby saving a lot of bandwidth… which can then be used for additional HD channels. TNT means DVB-T, which can only be broadcasted via airwaves. What you meant is DVB. Thanks for this info. In fact, I meant that Outremer-Télécom has started offering via ADSL a number of channels which are normally accessed in France through DVB-T (i.e TNT.) I’ve slightly modified the main text to make it clearer. As for 720p vs 1080p, this is another debate but it seems that most people can’t see the difference from normal viewing distances on sensibly-sized TV sets (see this for example). I’ve read that, in fact, the processing makes all the difference. 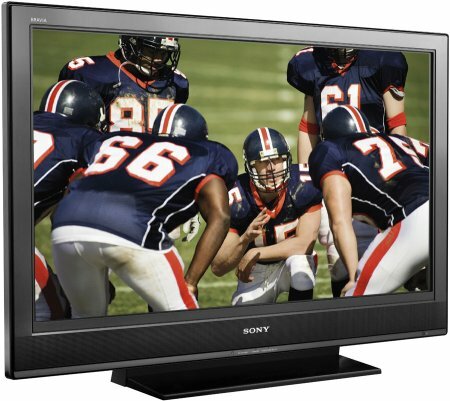 By the way, do you know Sony Bravia sets are powered by Linux? There is no such thing as HD Ready versus True HD. There is only one HD with different resolutions. The HD standard has evolved, that is all. All TV sets are still sold under the HD Ready banner in the UK, and consumers are expected to check which formats are supported by the HD Ready set that they buy. But incase if this happens will it mean that canalsat subscribers or parabole maurice subscribers will get common channels? That’s what I hinted in my post. Due to lack of competition here, they won’t feel pressured to merge… except if they find out they are spending too much money to keep the two offerings and/or they do get some competition in the shape of IPTV. One possibility, in case the merging does not happen here, is to get a subscription from Réunion. You only need to have a bank account there I think. This is perhaps the only way to get HD here. Are you paying something extra? Are you sure it’s HD (720p or 1080i)? Have you had to change your satellite decoder with one with component or HDMI outputs? Thanks a lot for this info. I’ll go there to have a look tomorrow. before we can run, we need to be able to walk. first of all, we need EPG – Electronic Programming Guide. then we will think of HD. then we will think of True HD. until then, shops like cash and carry can always sell HD compatible, HD ready, HD upscaling technology to us all buyers and retailers. it’s only then and then we will fall in love with TV. selven, the only way for you to understand this erectile function is if you watch a 1080i/p movie or clip, then you’ll understand. most people dont. and we again we can have 1080i/p monitors, but not a single air frequency displaying 1080i/p. That’s what we’re all saying. Most people (including myself) will be very happy with a 720p LCD or plasma TV as there is absolutely no perceivable difference with 1080p and there is a lack of HD content right now and SD (576 lines) is easier to display properly on 720p sets than 1080p sets as fewer pixels need to be interpolated. That’s why many “picky purists” still consider the 720 lines (or rather 768 lines) plasma sets from the Pioneer Kuro line the best in the world… Have a look at the PDP-4280HD for instance. oh but 1080 is orgasmic! Do you anything about the merger between Parabole and Canal yet? We don’t hear about it anymore? i need to buy a tv set full hd. can anyone help me out here before the salesman couyonne moi??!! Yes. What are your requirements? hi..i just want to know wht is happening with the tnt channels? y there is no more b4u n even zoom..?? ?tnt is now boring..
if u have some info concerning it plz let me knw.. They are not showing B4U because the satellite(Intelsat 10) which was broadcasting it, is not doing it anymore. As for Zoom which is found on the same satellite is an encrypted channel and I think they don’t have the rights to broadcast it (opposed to B4U which was free to air). Do we get Formula 1 Races on Canal or Parabole if so then in which channel. I generally watch Formula 1 on TF1 which exists on both. Le bouquet satéllite Parabole Réunion vient de rajouter dans son bouquet une chaine, une nouveauté au nom de STAR PLUS (chaine actif). Une chaine typiquement indienne au thématique variée mêlant séries, films, docs, musique. Rapellons que c’est cette thématique qui manquait au bouquet, de plus cette chaine est sans aucun supplément de prix. MC Vision has just changed my Decoder for a new HD one… However the time is not good on this one… Can this be set on each decoder or It is preset and syncronize by MC Vision itself? Also we are not able to view complete Programmes for a day or even next day which i used to check on my previous Decoder… Can anyone help? Hi can u help me out..in aret gagne meteo dan canal sat..i think there’s some prblm..plz try to find out wat has happned!! I think its unfair to pay for the all the channels and when you want to watch some of them Like Doctor House, it shows that its unavailable. Yeah, I was wrong. I didn’t anticipate the fact that, no matter what, the two companies behind CanalSat and Parabole here would not be able to compromise their respective positions. I know about the HD channels on CanalSat (I blogged on that on the ThreeBags Blog) but I am wary of the bitrate being used. Anyone has an idea?